European art cinema includes some of the most famous films in cinema history. It is elite filmmaking that stands in direct opposition to popular cinema; and yet, it also has an intimate relationship with Hollywood. 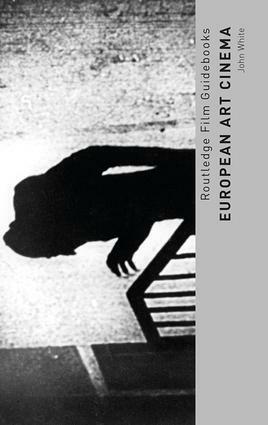 This guidebook sketches successive phases of art cinema in Europe from its early beginnings of putting Shakespeare’s plays on the screen, through movements such as Expressionism and Surrealism, to the New Waves of the 1960s and more recent incarnations like Dogme 95. Using film examples, John White examines basic critical approaches to art cinema such as semiotics and auteur theory, as well as addressing recurring themes and ideas such as existentialism and Christian belief. The different levels of political commitment and social criticism, which appear in many of these films, are also discussed. John White is Senior Lecturer in Film and Media at Anglia Ruskin University, UK. He is co-editor of The Routledge Encyclopedia of Films (2015) and author of Westerns (2011).